They usually say throw the record books out the window when these two NFC North rivals meet, but there will no need for that when they meet tonight at 8:30 p.m. ET. Both the Packers and the Bears enter this week’s Monday Night Football showdown 2-0. The Packers 2-0 record comes to the surprise of no one, while the Bears have turned a lot of heads with their start. Chicago opened the season with a disputed win over Detroit, when a potential go-ahead touchdown reception by Calvin Johnson was ruled incomplete in the endzone. Chicago escaped that game 19-14 and then turned around the next week, traveled to Dallas as seven-point underdogs and upset the Cowboys, 27-20, in a result no one was disputing. The Packers went on the road in the first week and held off a Michael Vick-led Eagles rally to walk away with a 27-20 win, and then at Lambeau Field Green Bay pounded the struggling Bills, 34-7. A lot more of the offensive onus has fallen on Aaron Rodgers’ shoulders after running back Ryan Grant was lost for the season. The running game regressed when Brandon Jackson was inserted into the lineup, and that was against two teams who struggle to stop the run. The passing game has not exactly excelled either. Tight end Jermichael Finley is the leading receiver on the team with eight receptions for 150 yards. A major element of the Green Bay aerial assault that has been missing is catches out of the backfield. Rodgers has completed exactly four passes to running backs this season for a total of 33 yards. Catches out of the backfield have been an increasingly important element for Mike Martz’s offense in Chicago. Matt Forte has 12 receptions for 188 yards already this season, sixth most in the league. Forte already has three touchdown receptions. Johnny Knox, Devin Hester and Greg Olsen have been consistent targets for Jay Cutler (649 yards, 5 TD, 1 INT), who has been spectacular in two starts. Both defenses have gone about their business completely different ways early on. Green Bay has shut down the pass (third in the league), but has been gouged by the run (28th in the league). Chicago has completely taken away the run (28 yards per game, first in the league) but been torched through the air (27th in the NFL). Chicago will have to account for Packers’ linebacker Clay Matthews. He has six sacks already this season. The Chicago offensive line allowed four sacks in the first week, but they got things shored up last week as Cutler was only sacked once in Dallas. Rodgers could be the one under heat Monday Night. He was sacked three times in Philadelphia and there are issues at left tackle where veteran Chad Clifton is not 100-percent healthy and rookie Bryan Bulaga is suspect. That screams opportunity for Bears’ defensive end Julius Peppers, who is still waiting to make his presence felt. The big injury news is old news for Green Bay after they lost running back Ryan Grant for the season when he tore a ligament in his right ankle in the season-opener. His replacement, Brandon Jackson, has been far from spectacular, rushing 18 times for 63 yards filling in for Grant at Philadelphia and following it up last week with 11 carries for 29 yards. The Bears major injury concerns center around left tackle Chris Williams, who is doubtful for Monday, and defensive backs Major Wright and Craig Steltz, who are both questionable. Chicago will need all the help they can get in the secondary. The line opened with Green Bay as three-point favorites and has stayed there. The opening total of 45 has climbed to 46 at most sportsbooks. 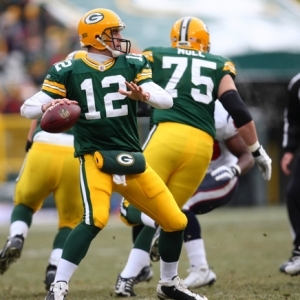 The Packers can be had on the money line at –150, while the Bears to win outright are listed at +130. Jay Cutler was picked off six times in two games last season against Green Bay. Without those mistakes the Bears likely win those two games instead of losing both to Green Bay. Ryan Grant was the star in Green Bay’s win at Chicago, rushing for 137 yards and two touchdowns, but his absence will be felt the most Monday Night. Home underdogs are 2-0 ATS on Monday Night Football so far this year and Chicago will make it 3-0, take the Bears and the points. Allen Eastman is back with his 99 System for NFL picks in 2010 and before he even came across this system he was considered one of the best NFL handicappers in the business – now he is just unstoppable. The system is 32-17-1 the last two seasons, and the first three weeks of this season, and he will be back with more 99 System picks next week. This system not only helped his clients make a boatload of money, but also helped Eastman to third place in the prestigious Las Vegas Hilton NFL Contest.